Everyone wants their career to take off at some point. Only some want their career to take off faster and more literally than others. 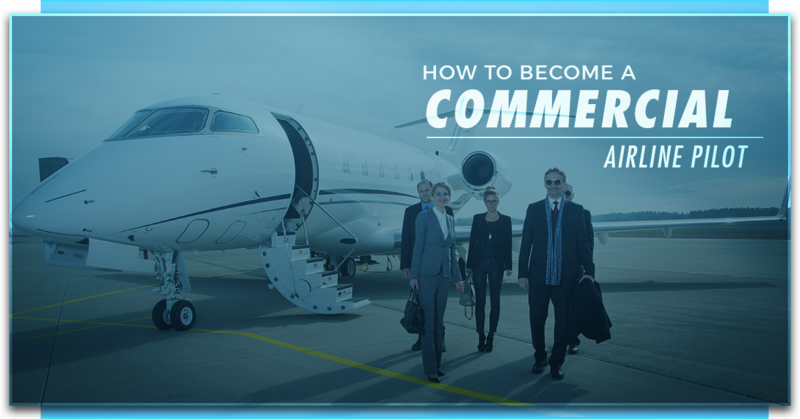 If you’re one of the select few people in the world with the skills and ambition needed to become a commercial airline pilot, then you have a great opportunity at your fingertips. Becoming a commercial airline pilot is one of the most rewarding and exciting career possibilities out there, and if you choose to pursue that path there is no doubt that you will have the time of your life. But it’s important to understand that becoming a commercial airline pilot won’t be easy, and it doesn’t just happen overnight. “So,” you may be asking, “what is the process?” Keep reading our blog to learn how to become a pilot for one of the major airlines and contact Alliance Aviation to learn how we can help guide you in the right direction with our commercial pilot training programs. The first step toward becoming an airline pilot is to carefully consider everything that is involved. This is a career that will take literally thousands of hours of studying, training, and work, so be sure it is what you want to do before you embark on this journey. While the myth about perfect vision being necessary to be a pilot is mostly untrue (you will have to show that your vision is correctable to 20/20, whether that be through surgery, contacts, or glasses), there are still some important medical guidelines. Before you move on in the process, you need to earn the initial Class 1 Medical certificate, which examines your medical history, eyesight, physical health, hearing, lung function, and more. If you pass, and you are more than 21 years old, then you may truly begin learning how to become a commercial airline pilot. The reason you have to be so sure that this is the career path you want is that it isn’t exactly cheap to receive the training necessary to become a commercial airline pilot. Because training can be such a significant investment, you want to be sure you are getting the most out of it by choosing the proper courses. You will either need to earn an FAA ATP (Airline Transport Pilot License) or MPL (Multi-Crew Pilot License), which will cost thousands of dollars and take upwards of a year or longer. At Alliance Aviation, we offer the best ATP-CTP training program which can help you prepare for and earn your certification. After you complete your training and earn your ATP certification, the next thing you will need to do is earn an FAA Type Rating and your actual license. This requires hours upon hours upon hours, at least 1,500 for the main license, of more training. But should you complete this process, it will all be worth it. Alliance Aviation offers a variety of type rating courses for international pilots looking to become a commercial airline pilot. Contact us today to learn more and start a career that you will love!